Back when they were still strangers, TJ Carvalho witnessed the only moment in Vivi Flannigan's life when she lost control entirely. Now, TJ can't seem to erase that moment from his mind, no matter how hard he tries. Vivi doesn't remember any of it, but she's determined to leave it far behind. And she will. But when Vivi returns home from her first year away at college, her big plans and TJ's ambition to become a nurse land them both on the heart ward of a university hospital, facing them with a long and painful summer together – three months of glorified babysitting for Ángel, the problem patient on the hall. Sure, Ángel may be suffering from a life-threatening heart infection, but that doesn't make him any less of a pain. 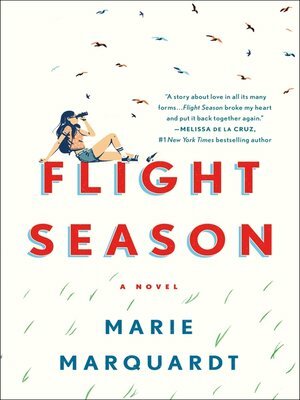 Written in alternating first person from the perspectives of all three characters, Flight Season is a story about discovering what's really worth holding onto, learning how to let go of the rest, and that one crazy summer that changes your life forever.